The 70’s Preservation Society has taken on these new challenges and hopes to continue to bring you the best music ever made for many years to come. However, the costs to do so continue to increase and as we add more stream seats our costs go up accordingly. Without your financial support, we may not be able to continue to keep bring you the wonderful music and entertainment we provide to our listeners streamed at 128 bit for excellent sound quality. Help or cover costs of main hosting account for the website including maintenance, bandwidth and design matters. Help or cover costs for stream server to included fees, additional stream seats as we grow. Help or cover costs to DBAI for royalties to insure everyone involved is properly compensated as required. Help or cover costs for staff to compensate for time and efforts involved in bringing the show to the public. 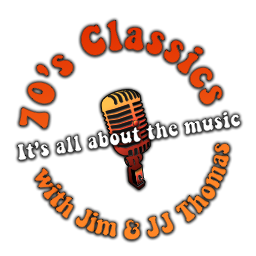 If you would like to donate to the cause, please click on the button below to donate any amount you feel you can to help the 70’s Classics stay on the air using your PayPal account or major credit card processed through PayPal.